Just like having the right power tools for a DIY project makes things easier, having the right hunting gear when out in the wilderness makes things much simpler and more fun. While the gun and flashlight are essentials that no hunter should go without, many people underestimate just how important a hunting knife can be. Even though you probably won’t be using it for killing prey, it can still serve a wide range of purposes when out in the wilderness. Knives have been used for hunting for thousands of years, whether that’s for actually stabbing prey back then, skinning it, creating traps with it, or anything in between, they are proven tools. However, nowadays, there are various different types, but not all of them are fit for that purpose. 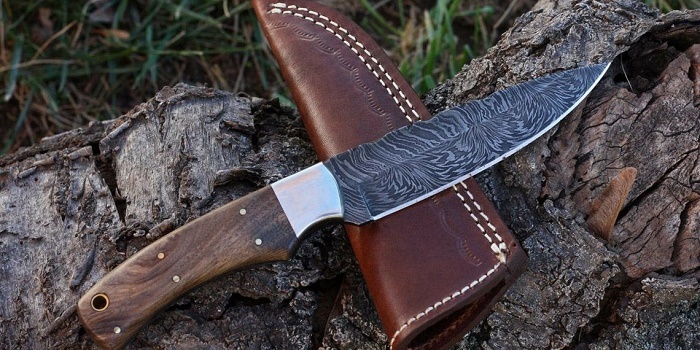 That being said, there are several factors to consider when buying hunting knives. Most knives you’ll come across in outdoor and hunting gear stores are full-tang. If you’re new to knife terms, the tang is the part of the blade that’s encased by the handle of the knife. A full-tang knife basically indicates that the blade extends for the full length of the handle. Even though there are also decent half-tang knives for hunting available, they’re typically not as reliable and sturdy as full-tang ones. There are also folding hunting knives, and shopping for them can be even more confusing for some people. 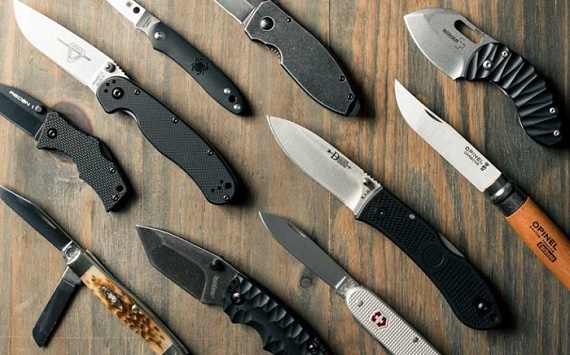 There’s a ton of different models on the market nowadays, and they’re separated into several categories: Swiss Army Knives, single-blade, double-blade and multi-blade. They greatly range in size, and even though they might be decent for hunting, they aren’t as reliable as half-tang fixed knives and full-tang knives are. Furthermore, you need to look for a knife that’s ergonomic. Ergonomics is one of the most important aspects of hunting knife design. In case you didn’t know, an ergonomically designed knife basically means that the knife is comfortable to the user’s hand, even when used and placed under stress. It means that the knife should feel like an extension of your hand, allowing you to comfortably use it. Lastly, consider the materials the knife is made of. The blade should be made either with quality steel or high carbon metals. Even though there are titanium and ceramic-made blades, they’re typically used for specific purposes. The handle of the knife, on the other hand, can be made of various types of durable plastic. A knife that has a plastic handle and a quality steel blade will be overall durable, resistant to the elements and pretty tough. Does Camouflage Clothing Really Help Your Hunting Success?